I think there is a huge generational shift regarding bike helmets. In a few decades, we’ve gone from basically never seeing a kid’s bike helmet to it being surprising to not see little kids wearing them. Just as much of the stigma regarding tattoos have gone away, so will the stigma regarding bike helmets (although I’m sure there will be cool and uncool ones that I won’t be able to distinguish between). For teens and adults, wearing a helmet while mountain biking or riding on roads and highways might be fashionably cool, but I don’t see that happening for around-the-town riding/commuting. I always wear a helmet and at my advanced age, I’m less and less concerned about my ego when it comes to fashion. But I must admit to feeling a tinge of foolishness when I get on my old around-the-town hybrid bike (I call it my Mary Poppins bike) and put on a helmet. And in our culture, women’s attention to their hair is still a big deal. Helmets mash their hair and make heads sweaty. Don’t you think that matters? Absolutely. I would argue that there is probably a large number of people thy wouldn’t even drive with their window down much less bike with or without helmets. I don’t think we should make laws enforcing them but I think we’re still at numbers where any discussion about biking is a good thing. By the way, Griff. I think you do a great job promoting biking (even if I disagree with this particular post). The only thing that would be likely to change that attitude would be to change the driving age to 19. As someone who has cracked a helmet when pushed off the street by a driver with issues (in Green Bay, not here) I do think wearing a helmet is a very good idea. So — get your bike club to be the coolest thing going, and helmet wearing will take care of itself. A helmet saved my life! It’s not surprising that people who’ve been through a crash on their bike and escaped serious consequences but found helmet damage often believe strongly that the helmet has “saved their life”. Bill Curnow’s comments are summarised below. Each comment has a number with a corresponding response from the reviewers in the reply section below. 1. The review requires, first, that there is a hypothesis to explain how helmet wearing and changes in head injury are linked by proximate cause and effect obeying scientific laws.“ Mr. Curnow suggests a biomechanical hypothesis is necessary. 2. Secondly he says ”the hypothesis should be tested by experiment or, with human subjects, randomized controlled trial. The studies, however detailed their data or refined their statistical methods, are therefore mere empirical correlations between helmet wearing and head injury. They do not establish mechanisms of cause and effect applicable to other circumstances“. 3. Axonal shear injuries are the only injuries that matter. 4. There is good reason to expect that helmet wearing may actually increase the risk of brain injury. 5. NHMRC report on football injuries of the head and neck. ”The NHMRC’s assessment was that helmets may possibly reduce scalp lacerations and other soft tissue injury, but may increase cerebral and non-cerebral injuries including diffuse brain injury“. 6. The suggestion that helmets protect against injuries to the face including orbit/eye, nose and middle face is not plausible. Helmets for preventing head and facial injuries in bicyclists (Review) 16 Copyright © 2009 The Cochrane Collaboration. Published by John Wiley & Sons, Ltd. The authors appreciate this thoughtful critique of our review ”Helmets for preventing head and facial injuries in bicyclists“. Bill Curnow makes several points, which are answered below. 1. Answer: We disagree. We should like to point out that while a detailed proven biomechanical explanation for head injury in bicyclists is desirable, it is not a necessary pre-condition for proving that safety helmets work. An even older reference than Holburn 1943, makes this point (Snow 1855). John Snow’s famous intervention of removing the handle from the Broad Street pump after seeing the clustering of cholera cases in this area of London in 1849 quelled a cholera epidemic. No one knew the bacterial agent or the pathophysiology of cholera at the time. We hypothesized that bicycle helmets would act to reduce head and brain injury, and this hypothesis is supported by the studies reviewed. There was substantial evidence from motorcycle helmets that this would be true. 2. Answer: We disagree. We would point out that RCTs are also empirical correlations between an intervention and an outcome and if properly executed can provide the highest level of causal inference. However, other designs, well conceived and executed to take into account potential confounders as our work was, (no one has raised a supportable claim of biases unaccounted for in our work) can provide a solid basis for causal inference. This is especially true when a number of other studies have replicated these results. The nature of causality is well discussed by J. Mark Elwood in his book, Causal Relationships in Medicine (Elwood 1988). The case control studies reviewed provide evidence that helmeted bicycle riders who experience a crash are much less likely to have a head injury than unhelmeted riders crashing under the same circumstances. The background section of the review (second paragraph) and the discussion section (first paragraph) of the review explain how case control studies are an appropriate study design for evaluating helmet effectiveness in the absence of randomized controlled trials. We agree that RCT’s would be ideal, but believe this is unlikely. High quality case control studies and other experimental and non-experimental study designs can provide solid inferences in the absence of randomized trials (Elwood 1988). The key question is-if you experience a bicycle crash and hit your head , will a helmet protect your head and brain? These studies all indicate that helmets protect the rider from brain injury, skull fractures and soft tissue injury. In the largest study (n=3390), the authors evaluated the risk of brain and severe brain injury separately and found a strong protective effect. This study also evaluated the protective effect of helmets among bicyclists involved in a motor vehicle crash as an example of a crash with high impact forces (Thompson 1996). Helmets are as protective , that is provide the same reduction of head and brain injury, regardless of why the crash occurred. In other words, the protection is the same for bike-motor vehicle crashes as for falls. 3. We disagree. We feel that concussions, subdural and epidural hematomas and parenchymal bleeding are serious injuries that result from linear or direct impact forces. Helmets reduce potential injury by linear or direct impact forces by dissipating energy using the foam and shell. Axonal shear injuries result from rapid deceleration or rapid rotation of the head. The magnitude of reduction of axonal shear injuries by bicycle and motorcycle helmets is difficult to measure. However, it is important to point out that significant head trauma occurs at forces below those which produce axonal shear injuries. 4. We disagree. Mr. Curnow is overstating the findings of the two studies quoted in his letter. There is an excellent and very thorough review of the biomechanics of head injury by Dr. Michael Henderson of NSW Australia (Henderson 1995). He concludes that ”real world crash experience shows that none of these laboratory results are reproduced in the field to any measurable extent, in other words, in the real world rotational acceleration has not shown up as an important problem.“ Henderson also reviews a number of studies measuring bicycle helmet effectiveness including a study by Corner that found ”bicycle helmets were reducing the severity of head injury, and this was particularly the case when injury resulted from collision with another vehicle.“ (see page 27) (Henderson 1995). Laboratory work by Dr. Voight Hodgson suggested that soft shell helmets might not slide on a surface as easily as hard-shell helmets, possibly increasing head rotation and leading to neck injuries (Hodgson 1990). The widespread use of helmets worldwide since 1990 has shown that these neck injuries did not occur. The largest case control study of helmet use was able to look at the protective effect of three helmet types, hard shell, soft shell and no shell (Thompson 1996). The protective effect of helmets is so large that the small differences that may occur between different types cannot be detected (Thompson 1996). Further analysis of this large group of cyclists indicated that wearing a helmet of any type was not associated with neck injuries (Rivara 1997). Studies of motorcycle helmets have also indicated no association with neck injury (Shankar 1993). Helmets for preventing head and facial injuries in bicyclists (Review) 17 Copyright © 2009 The Cochrane Collaboration. Published by John Wiley & Sons, Ltd.
region (upper and lower, or upper, middle and lower face.) Please refer to our paper referenced in the review for a full discussion of methodology and additional references (Thompson and Nunn 1996). I think that it’s always good to question the status quo. I still think that it’s an interesting debate about long-term health if helmets discourage biking. But having looked through this, I’m more confident that helmets do provide substantial protection and are worth wearing. This is actually a reply to the post below from Gabe Meerts, which doesn’t seem to have a reply button. Gabe, you are right to be sceptical of unsupported claims, but you only seem to be sceptical of one side of this argument. Have you applied your scepticism to the pro-helmet side, or just those who are themselves sceptical of the unsupported claims of helmet proponents? Compare cyclehelmets.org with any helmet promotion website. Which is the most comprehensive? which has both sides of the argument? which does not refer to any counter arguments? If you apply the same level of evidence you demand from cyclehelmets.org to the pro-helmet sites, you will find them much more wanting. Your selection of which evidence to produce is interesting, as it is the most embarrassing episode in the history of the Cochrane reviews. It went against almost all of their own criteria, with completely biased researchers reviewing their own research and excluding anything they didn’t like – not exactly the level of objectivity demanded by the Cochrane system. As comprehensive as the cyclehelmets.org site is, you can’t expect it to include every paper and every comment on every paper, especially if copyright is involved. It is certainly a thousand times more inclusive than any helmet promotion web site. The facts remain: helmet laws and promotion are not associated with a reduction in risk to cyclists, and they do deter some people from cycling who then lose the health benefits, with a massive cost to the the public purse. Cochrane Reviews are generally considered to perform careful, rigorous, thorough, and evenhanded reviews of the medical literature. As a physician, I often seek out their reviews to help understand the state of scientific understanding on a subject. That is not to say that they are infallible. However, their stated methodologies are comprehensive and, all things being equal, they have a more proven track record than cyclehelmets.org, Griff Wigley, Patrick Enders, or Richard Burton. Would you care to make a more detailed case for why I should reject the Cochrane Review on the subject, and accept your interpretation of the studies instead? I posted that quote above because, when looking through the literature, I found that it responds to many of the issues that cyclehelmet.org brings up. I’ll admit that a pro-helmet website would probably suffer the same biases but, for that reason, I didn’t go to them and, instead, tried to read more of the research itself. You are entirely correct, Cochrane reviews have a reputation as objective research, but this one failed completely to be objective. As I’ve pointed out, the people doing the review are probably the the most active helmet proponents on the planet, and they selected their own work to review, ignored criticisms of it, and any research which casts doubt on their preconceptions. 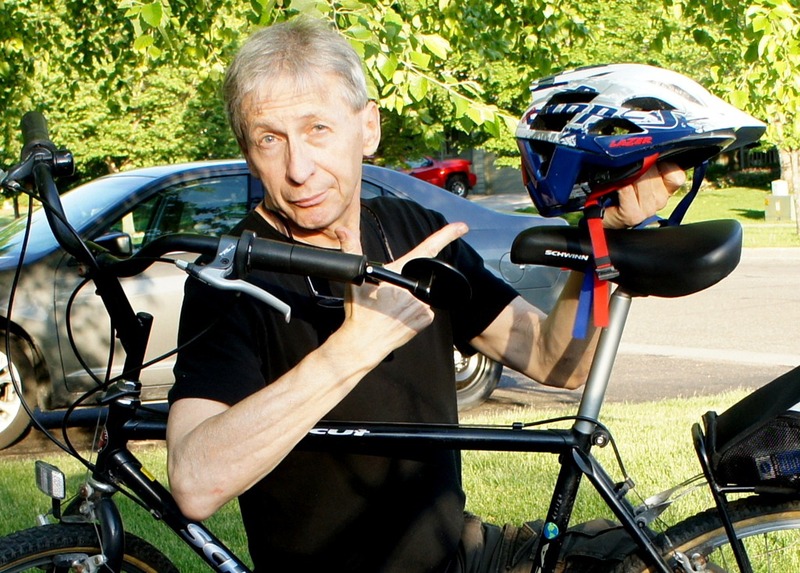 Thompson, Rivara and Thompson, the authors of the Cochrane report, have been promoting cycle helmets for well over twenty years, and famously produced the 85% figure for effectiveness. This figure has never been repeated by anyone else, and the research they used to produce it was just bad science and showed that helmets protect knees and elbows. If you google for their names, you’ll find masses of helmet promotion. You seem to have misunderstood: I never claimed that the Cochrane review is a “pro helmet website” and it would have been absurd to have done so. I merely pointed out that this particular Cochrane report failed the most basic Cochrane criteria, and has significantly damaged their reputation. Having just googled for Cochrane reviews and cycle helmets, I found this http://summaries.cochrane.org/CD003985/campaigns-to-encourage-children-to-wear-cycle-helmets. I’m seriously concerned that another one is biased, as the summary is based on several unproven assumptions: “Many children suffer head injuries while riding a bike.” and that cycle helmets provided a safety benefit and were therefore to be promoted. And this one claims “However, cycling related injuries are common and can be severe, particularly injuries to the head.” http://summaries.cochrane.org/CD005401/bicycle-helmet-legislation-for-the-uptake-of-helmet-use-and-prevention-of-head-injuries. I’m very concerned that Cochrane reviews appear to be deliberately biased. I appreciate the time constraints, it’s very difficult to fit everything in, but perhaps you could look at the TRL report of 2009, which looked at all the evidence. It concluded that there was evidence to show that cycle helmets were effective. You’ll read in the summaries of this report that they concluded that helmets were effective, 16% I think, but the full report makes it clear that this is an estimate based on a guess based on an assumption. It says quite clearly in the main body of the report that there was no data to support that figure. The conclusion of the TRL report, that there is no real world evidence to show that cycle helmets are effective, is shared by all research that examines all the evidence. This is probably the last post that I’ll make regarding this. I think we could talk about this for hours and I’ll be first to admit that I am not an expert and that I’m trying to keep this brief. You linked to a recent review of the studies (which can be found here without having to fill out a form). I have no idea where you get the idea that their conclusion is: “that there is no real world evidence to show that cycle helmets are effective” They explain that they used many factors combining lab results with populations studies and explain why they even aimed for conservative numbers when predicting the effectiveness of helmets yet they still found that helmets can prevent a number of injuries and weren’t found to cause any (directly from wearing it, they didn’t study whether the rider or other motorists are affected by the cyclist wearing a helmet). This critique of the report: http://www.cyclehelmets.org/1230.html brings up interesting points (a few that I think are wrong such as the leap that 2/3rds of the fatalies also had fatal wounds to the rest of their body is poor math based and extreme conjecture) but nothing to not trust the original study. I apologize in advance if I have neglected to mention how many axes the original authors have to grind but I didn’t see a way to calculate it. I think it’s dishonest to make unjustified claims in press releases and bury the fact that it’s based on nothing more than assumption, with no evidence to support it. As I understand it, the cyclehelmets.org critique figures for the fatal wound rate of cyclists is based on hard evidence from hospital studies, and is certainly not a leap or poor math or even mild conjecture, let alone extreme. I’ve certainly read research which showed that it is incredibly rare for a cyclist to die of head injury as the sole cause. Gabe, you say you selected that text because it responds to many of the criticisms on the cyclehelmets website, but you neglect to mention that the people who produced it are the most avid helmet proponents in the world, with a million axes to grind. And you accuse the cyclehelmets website of hypocrisy when they don’t publish everything because they’d probably be sued for copyright infringements! As I’ve already said, cyclehelmets.org is much, much more objective and scientifically based than any pro helmet website, but you make no criticism of them. Don’t you think it’s slightly hypocritical to accuse one side of something that the other side is much more guilty of, especially when your criticism is unjustified? I have not yet had time to evaluate the criticisms noted at http://www.cyclehelmets.org/1069.html – mostly because my free time is very limited, at best, and in order to begin to make any sense of the criticisms at the page you linked, I’ve had to go googling for references which are only briefly paraphrased, and then significantly reinterpreted, at your site. (See, for example, here: http://www.cyclehelmets.org/1243.html vs. here: http://www.monash.edu.au/miri/research/reports/muarc076.pdf ) It’s a daunting task to sort through the data in any meaningful or thorough way, and certainly one that I will not be able to perform to an adequate level given my personal time constraints. The scientific literature always contains differing opinions. I know of quite a bit of medical literature that supports bike helmets as a way to help prevent serious head injuries and brain damage. There are almost always dissenting views. I only hope that you read enough of both sides of the argument to make you feel assured that you aren’t giving public advice that might lead to a person, especially a non-skilled bicycling child, having a life changing head injury. In research that concludes that not wearing helmets has not been associated with a greater number of serious injuries or deaths you would want to make sure that other factors in the study population–such as the skill/experience level of bicyclists, the culture and attitude of drivers with respect to bicycles, the biking environment (bike paths, etc) and other potential causes–have all been controlled for before the conclusions can be assumed as fact. The title of your article implies that you have done the due diligence in determining that wearing helmets is more harmful than not. Is that true? Doug, I think you’ve missed my main point. It’s not about the safety of individual bicyclists. It’s about the public health impact of alienating a large percentage of the population from riding bicycles regularly. In other words, the evidence is increasingly strong that the promoting of bike helmets has a major unintended negative public health consequence. Thanks, the new title makes a big difference. I moved to Northfield last summer so I don’t know the specific promotions by local groups but other places usually handed out free helmets (to the first 100 or whatever). This was almost always the only times biking was discussed rather than taking over biking conversations. I looked at your links and didn’t see any that I could comfortably apply to Northfield. If I understand the data correctly, that German story applies to a population where 30% commute by bike. Biking is embedded in their society. Did you see that in the San Diego data, there was a rise in adult biking after a kid helmet law? My guess is that this was a result of biking being discussed in any context. Interesting discussion. As a kid growing up in the country I had to ride my bike all over the place. I never wore a helmet, and I wonder if I would have ridden less if my parents required me to. If it was up to me, I wouldn’t make my kids wear helmets unless they were doing bike tricks like flips and other stunts (wheelies and curb jumping don’t count here IMHO). My wife wants the kids in helmets so I support her wishes, but I have wondered, as Griff points out in his post, if the kids enjoy riding less, and thus do so less, because they are forced to wear a helmet. Sean, what’s your experience and opinion on this topic? Have helmets been a big focus in your European observations? I agree with Griff. I think helmets are the wrong focus, and definitely should not be a legal requirement. If you want to wear a helmet: great. If you feel more comfortable bicycling with one on, even better. But for anyone who doesn’t want to wear one — or who won’t bike if they have to — it’s not worth pushing. I’ve argued this very unpopular position for the last year. I’m doing an internship for a bike advocacy organization, and was silenced by my supervisor when I was asked to write an opinion on helmets and wrote that I don’t wear one around town. For my personal use, my system is simple: when I do bicycling as a sporting activity, I wear one. When I cycle for transportation, I generally don’t (save for longer trips up to Minneapolis). I also think the much better safety focus would be on preventing ninja biking (riding without lights). A helmet may mitigate impact, but will do nothing to help keep a car from hitting you. Lights — especially front lights — will do a great deal to prevent cars from hitting you, yet I see hundreds of bikers around Northfield every season lurking in the shadows of the night. I stopped by the Northfield Hospital trailer last Jesse James Days, where they sell dirt-cheap helmets to folks. I asked about the absence of bike lights. They said it had never occurred to them, but they’d consider it for next year. Brendan: Didn’t see your comment at first. Actually the main thing that opened my eyes to helmets and urban cycling was seeing bike culture in Copenhagen. There, in one of the top bike cities in the world, I would guess less than 10% of people wear helmets. Some do, but for most, bicycling is about every little bit of convenience: wheel locks so they don’t have to have a rack, kick stand, automatic generator lights, and — yes — not wearing a helmet. If bicycling is truly to become a part of people’s daily lives, helmets probably can’t be universal. Also check out this TEDx talk on helmets by Copenhagen bike advocate Mikael Colville Andersen. I think that if helmets become a norm than the negative social response of them changes…seat belts, car seats/boosters, sunscreen (instead of baby oil), etc. I remember as a teenager when seatbelt laws were developed that I balked at them and said no one could make me wear a seatbelt. So maybe it’s the law aspect, but I don’t think we should stop encouraging people to wear them by promoting helmets as safe via handouts and such. I agree with Gabe: “it’s even more important to provide even more bike lanes, trails, etc to encourage biking.” We just moved here and feel that Northfield is not a very bike friendly town compared to other experiences we’ve had. Sean, right now I’m used to wide sidewalks and bikers encouraged to use the sidewalks rather than the streets, so I suppose that’s a bit intimidating since I’m riding with young children. Too soon to pass judgment really. Lisa…Feel free to use the sidewalks in Northfield while biking. I do it everyday. Some streets are safe for bikers but some are not, so the sidewalk becomes the safe alternative. Sometimes it is just more pleasant to be off the street. Sidewalks can be narrow, but most are usually empty of pedestrians. If you happen to meet a walker, it’s usually easy to adjust to their right of way. Using a sidewalk to bike requires judgment, which is why some folks oppose the practice. But, like wearing a helmut, those of us with common sense can determine if it is safe or not. By and large, bikers are discouraged from using sidewalks, because for the vast majority of situations, sidewalks are less safe. I disagree with William’s comments: those with perfectly good common sense often miscalculate risk of different riding positions. The trouble with sidewalks is that, while they eliminate the obvious (but quite rare) potential accident of a car hitting you from behind, they make you much less visible and thus create new, hidden conflicts that neither biker nor driver is prepared for. However this really applies to using sidewalks at an adult bicycle speed (that is to say, 10-20 mph). If you’re biking with your kids and they’re really just learning how to bike, I think it’s perfectly acceptable to use the sidewalk — because they’re not really going much faster than a walker, or at least a jogger, would go. Introduce them to safe road riding when you feel they’re getting fast/experienced enough that they are no longer riding at “pedestrian” speeds. As for adults riding on the sidewalk: again, it’s rarely as safe. However I’d much rather see people riding on the sidewalk than not riding at all — so if you really feel more comfortable that way, go for it. Though I certainly hope Northfield drivers and infrastructure make you feel comfortable on the road, too! I bike on the neighborhood sidewalks when I’m in a leisurely riding mode or when it’s a little too dark and I don’t have my helmet light. But when I’m Riding with a capital R, I keep to the streets. Thanks for sharing your distinction — seems reasonable. I do not recommend sidewalk cycling to protect yourself at night, though. Check out this guide on How Not To Get Hit By Cars. Most of these crashes (except door prize and rear end) are possible on a sidewalk, and much more likely because of impaired visibility. If it’s too dark, get a light! A pair of Reelights are great for utility bikes — they’re always running and semi-permanently mounted. No batteries, no remembering to turn it on. For my road bike, I use the Danger Zone light in back and a cute little blinky light in front. Good to know, William. I just assumed seeing the bike lanes on the road that I may be ticketed using the sidewalk. Congratulations Griff, you’re one of the few people to wake up to the fact that the past twenty five years of helmet propaganda has been completely misguided. Nowhere with a helmet law or massive rise in helmet wearing can show any reduction in risk to cyclists, only a fall in the number of cyclists, a fall which seems to take many years, if ever, to recover from. Cycling confers huge health benefits, regular cyclists live longer, are fitter, healthier and slimmer than the general population, and they have more disposable income. So it’s safer to ride a bike than not ride one. Because helmet promotion and laws deter some people from cycling, who then lose the health benefits, the actual effect of such laws and promotions are large and negative, unless you count the obscene profits made by the helmet manufacturers, who don’t even need to advertise their products because helmet zealots do it for them. Griff is right; promoting helmets is a public health own goal of gigantic proportions. Is it a coincidence that the fattest nations on earth have a helmet law? If you haven’t checked out cyclehelmets.org then do so. but remember to keep your mind open. Coincidentally, the Healthy Community Initiative VISTA is currently promoting bicycle helmets on Northfield Patch. Thanks for that link, Rob. I’ve added a comment there. And Sean has added a great comment there, too. No response yet from the author, Soraya Dangor of HCI/LINK Center VISTA. David Byrne, the artist and musician, has a great piece in the May 26 NY Times titled This Is How We Ride about NYC’s impending bike share program, Cit Bike. Don’t you think it is kind of irresponsible to actually actively promote riding without a helmet? Why not just promote riding if you are interested in fighting the epidemic? Oh and if you are trying to reduce the rising healthcare costs, why not promote doing both? Bill, the reason is that the research indicates that helmet laws/promotions are a significant disincentive to people riding bikes around town/commuting. And the health benefits to creating a culture of everyday bike riding far outweigh the risks of head-impact injuries. “let’s de-emphasize helmet-wearing for low-risk around-town biking” is quite a bit different the actively advocating not wearing a helmet on a public facebook page as you have done. I know you did it to “stir the pot” as they say and to instigate debate, but, like I said I think that method is fairly irresponsible. Helmet wearing is somewhat like seat belts. Get your kids to wear them from their first ride in a car and they won’t feel right without them as they become adults. As for the argument that helmets potentially could do more harm than good, I suggest you ask several people, including myself, if they didn’t think it protected them from injury, even significant injury. It did for me when I was hit by a truck. To be frank, since wearing a helmet is not associated with reduced risk, whether someone advocates wearing or not wearing is irrelevant in risk terms. The difference is that those so vociferously advocating helmet wearing are reducing the general health by deterring people from cycling. You’re absolutely right about brainwashing our kids though; get them early enough and they’ll believe anything. The problems start when they find out you’ve been lying to them. If you believe your helmet saved you from injury when hit by a truck, that is your belief, nothing more nothing less, and your belief is certainly not scientific proof. In fact, it’s rather less reliable than eyewitness accounts of crime, and there are innumerable incidents of miscarriages of justice because of them. The argument that helmets can potentially do more harm than good is based on the fact that rotational injuries to the head are much more serious than direct blows, and by increasing the turning moment on the head, helmets make rotational injuries more likely. Indeed, this is born out by the whole population figures for countries where helmets are near universal: there is no detectable helmet effect, therefore, if helmets do save some lives, they must kill an equal number. What is the point of wearing something which is just as likely to kill you as save you? And what is the point of promoting something with no discernable benefit, but serious disbenefits? If you believe your helmet saved you from injury when hit by a truck, that is your belief, nothing more nothing less, and your belief is certainly not scientific proof. I had a crash on my bike six years ago where I was flung head-first into the asphalt at approximately 20 mph. My head and right shoulder hit the asphalt roughly simultaneously. I suffered a broken collarbone, my helmet cracked upon impact with the asphalt, and I sustained a minor concussion. Several months later, my collarbone had healed (with a nice bump to remind me of the incident), my fastball was a shadow of its former self, and my head had stopped spinning when I stood up. I will not be convinced by any research you cite that I would have had as favorable an outcome had I not been wearing a helmet. In fact, I’m relatively confident I would be drooling on a bib now (or worse) if I had not been wearing a helmet at the time. While this is not scientific proof that my helmet saved me from more serious brain injury, I encourage you to replicate my experience sans helmet and report back to us on the outcome. Rep. Kim Norton, DFL-Rochester, said motorcyclists peppered her with e-mails and phone calls when she sponsored the proposal. Bill, I don’t know of evidence to support your contention that having kids wear helmets when they’re little increases helmet-wearing when they get older. It certainly wasn’t true for my 4 kids. But more to my point: research seems to indicate that emphasizing helmet-wearing DECREASES bicycling as kids get older and that given our obesity epidemic, this is a much bigger problem than the relatively rare head injury. Let me know what your reaction to it is. See my comment 18.1.1. I encourage you to replicate my experience sans helmet as well, and report back on the outcome. So does anybody have recommendations to reduce head injuries while cycling? All I here is don’t wear a helmet. But no answers for other metods of prevention. And Griff as the new mountainbike team coach, will you allow highschooler’s to ride with you without a helmet? Todd, I always wear a helmet when mountain biking (speed, obstacles) and helmets are required at all times, even in a parking lot, for high schoolers on the mountain bike team. I don’t have suggestions for reducing head injuries while cycling. My focus is on how to reduce the FEAR of head injuries while cycling without a helmet, which contributes significantly to people’s lack of cycling, a much bigger public health problem. Thanks for the reply Griff. This thread seems to focus on no helmet use and I see that as disingenuous when promoting a cycling team (mountain bike or not) that requires helmet use. I do appreciate the dialogue and your focus on health and fitness. I would like to see the focus change to fitness promotion in general. My personal opinion on cylehelmets.org is to front against helmet laws, but not work towards head injury prevention while cycling through improved equipment use. Gosh, Griff, if there is evidence (as you have stated) that helmets don’t prevent head injuries, then why do you do ever wear one? Todd, your question assumes that head injuries are common when riding a bike, but that is not true. Have you checked out cyclehelmets.org? The best method of reducing the risk to cyclists is to get more cyclists out there, which has two road safety effects: fewer drivers because some have switched to a bike, and the other drivers will be more aware of cyclists. It will also improve the general health as more people will be getting regular exercise. The only proven effect of helmet promotion and laws is to reduce the number of cyclists, not only reducing general health, but probably making it more dangerous for those cyclists still riding. I have Richard and my opinion of this site is to fight helmet laws. It seems to defocus the discussion towards head injury prevention, but I will admit I haven’t fully peeked at EVERY page in the site. Do you deny heard injuries occur while biking? If so, that’s a bold statement. As a pediatrician, I have anecdotally seen head injuries for children from biking without a helmet. I have also seen and experienced head injury prevention as a competitive mountain bike racer for children and adults. I trust what I’ve experienced, my children happily wear a helmet, they see adults happily wearing helmets. I just want to know if there are better tools then a cycling helmet out there. My opinion is it’s the best we have and cycle helmets.org has its own agenda. How common do head injuries have to be for you to be concerned about them? I personally know at least five people (not all of them high-frequency cyclists) who have had crashes on bikes that have led to a helmet being cracked. For all five of these riders, nothing worse than a minor concussion ensued. I refuse to believe that none of the five would have had more serious and potentially permanent traumatic brain injury had they not been wearing helmets. I completely agree that the BEST way to reduce risk to cyclists is to get more of them out there, and to develop a local culture that views human-powered transportation as a social good. However, I’m not willing to put my brain at risk (even when riding around town at relatively low speeds) while that culture develops (as it is in Northfield). I don’t accept the premise, either, that the integration of helmet promotion into more comprehensive get-out-and-bike-and-please-do-it-safely education and advocacy inevitably decreases ridership. It should be possible to continue building a “biking is fun, cool and good for you (and the planet to boot)” attitude throughout the community while encouraging helmet use. Todd, I’m assuming that English isn’t your first language, as I’m having some difficulty understanding what you say, especially the bit about defocussing the discussion towards head injury prevention: could you be slightly clearer please? Of course I don’t deny that head injuries occur whilst cycling, and nothing I said suggested that this was what I thought. The question is whether cycling is more productive of head injuries than other common activities, like walking or driving, and the evidence that I have seen suggests that it is not. If it isn’t, and other common activities produce the same or higher levels of head injuries, then why is cycling being singled out? And why aren’t all the cycle helmet proponents also demanding walking and driving helmets? As a pediatrician, I’m sure that you have seen head injuries caused by walking, driving, climbing and falling out of bed. Are you in favour of helmets for those activities, or just the one which is being pushed by the cycle helmet zealots? As I understand it, the agenda of cyclehelmets.org is to provide a platform for proper scientific discussion, rather than just the opinions and biased research which dominates any discussion of cycle helmets. You might like to compare its depth of scientific papers with the deliberately selective use of a narrow range of research used by helmet promotion sites, with no discussion of valid criticism. Did you check out the page Griff linked to before? 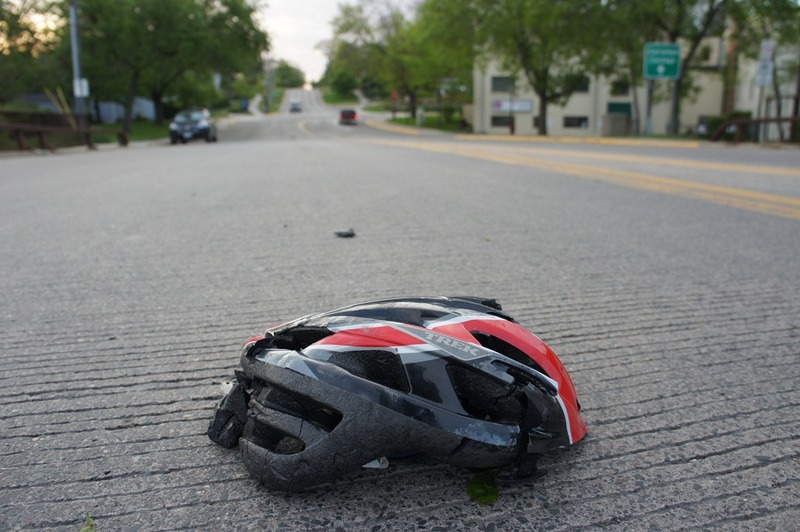 “A cycle helmet saved my life!” It argues that a cracked helmet does not equal a cracked skull, that only a compressed foam is an indication that the helmet did its job well. While I do agree with you that helmet promotion could be part of an encouraging, uplifting campaign to go bike, it often is not. See that article in Northfield Patch by Soraya Dragor. Well Richard, I’ll step away from this discussion based on your tone and I agree with others related to your approach. By criticizing my grasp of English, you lost your chance for a meaningful discussion. I apologize if I mislead you with my experience and opinion. Either way, I’ll keep promoting helmets for my patients, fellow riders, and family. Your arguments and reference to cyclehelmets.org and condescending tone have taken the wind out of your point for me. I did indeed check out the “A Cycle Helmet Saved My Life!” article and did not find it compelling at all. One highly disputed article that argues that a cracked helmet is no indication that I would not have suffered traumatic brain injury during the kind of crash I (and four other people I know well) had changes my mind not a jot (and I pride myself on being on open-minded kinda guy). I recognize that this is a contentious issue, one on which people of good intent have different opinions (with quite a lot of research backing up both sides of the argument, apparently). It took me about 85,000 miles of riding between the ages of 5 and 48 before I ran the first experiment (cranium meeting asphalt, protected by helmet). In the six years since I have ridden about 25,000 miles and have not run the experiment a second time. If and when the second experiment is run, I am unwilling to run it with my unprotected cranium meeting the asphalt at high velocity. We all do some kind of risk analysis (unconsciously or consciously) whenever we get out of bed in the morning and decide what we’re going to do for the day. I don’t think there is adequate data to demonstrate that wearing a bike helmet is a bad idea. I realize there are risks inherent in riding a bike anywhere (particularly here in the Land of the Fat-Assed Driver). Ride I do, nonetheless, taking measures to do so as safely (and enjoyably) as possible. I will continue to wear a helmet religiously until such data is irrefutable. I don’t think anyone can plausibly argue that such irrefutable data is present at this point. Again I say, if any of you helmet-haters care to to run the cranium-meets-asphalt experiment sans helmet, more power to you. If you ride a lot (BULLY FOR YOU! GO!! I ENCOURAGE IT MOST HIGHLY!!! ), you have a reasonable chance of running this experiment during your lifetime. If you really don’t believe that helmets provide any safety benefit to their wearers (as Mr. Burton asserts), then For Ford’s Sake please be consistent, and don’t wear a helmet when you are mountain biking, either. The physics of a mountain biker’s head striking a rock at 25 mph is not fundamentally different from that of a 5 mph bicyclist’s being struck by a 20 mph Prius. is a scientifically valid statement, Patrick. Thank you. Well, I’m afraid I read through pretty much this entire thread, and am flummoxed that this is something that sound-minded people disagree about. The conversation simply reinforces for me the adage that common sense is far from common. “Wear a bike helmet” is right up there with: wear a seat belt, don’t smoke, eat your vegetables, get plenty of sleep and exercise. It takes 30 seconds to put it on and might save your life. It’s really not more complicated than that. Ah, the good old “it’s just common sense” argument. And the earth is flat. For those people who would rather trust science than common sense, the simple answers aren’t always right, and we demand scientific proof. Unfortunately, in the case of cycle helmets, that proof, despite more than twenty years of hard evidence from places with helmet laws, is lacking. I think you’ll find it’s the “sound minded” people who demand proof, rather than accepting the widely held, but not justified, views of people who haven’t taken the trouble to examine the evidence. Just examine the evidence: it really isn’t more complicated than that. Mr. Burton, you seem to have a significant chip on your shoulder about all of this — I’m sorry that you feel the need to carry all of that around with you. You keep bringing up “helmet laws”. I don’t care about helmet laws. Me and my family are going to wear helmets when biking – it’s just common sense. You and your family can do as you like. I may have a chip on my shoulder as you say, but I’ve looked at all the evidence I can find, and I am not convinced that helmets improve the safety of cyclists. You appear to have looked at none of the evidence, and rely on “common sense”. You may be right, but all the reliable evidence shows that you aren’t. You may define my attitude as that of “having a chip on my shoulder” but I prefer to think of it as examining the facts and coming to a logical conclusion. You may think that “common sense” is better than all the scientific evidence and provable data – that is your choice. But until you’ve looked at the evidence and can argue from a position of knowledge rather than unfounded assumption, I’ll take the evidence and the chip. Mr. Burton, I find the scientific “proof” you demand lacking in this matter. This appears to be a scientifically contentious issue, with nothing approaching scientific consensus. To pretend otherwise is disingenuous. Why is the public health community not rising up en masse to demand an end to helmet use if the scientific proof is so compelling and complete? Is it a conspiracy by the vast and powerful bicycle helmet-nanny state industrial complex? Or is it simply that they are not as well-informed on this issue as you are? I keep seeing the cyclehelmets.org link cited as if it had some sort of Biblical authority not possessed by the Minnesota Department of Health, the NHTSA, Bruce Anderson, or any other higher power. Why is this source so much more compelling than any other? D.S. Silverberg, A. Meer, et al., “Head Injuries After Serious Bicycle Accidents,” European Journal of Epidemiology 8 (1992), 826-831. Same conclusion. In my brief review of the literature available on JSTOR, even the researchers who downplay the effectiveness of bicycle helmets conclude that they do save some lives. The least optimistic study I found claimed that mandatory helmet laws in the U.S. would have saved only 1,500 lives by 2004 had those laws been enacted nationwide in 1975. Not many lives, but those 1,500 people would probably be happy to be alive today. In the absence of a more compelling argument against helmets, I am going to make Pascal’s wager with bicycle helmets and continue to wear one. But I respect the rights of others to put their brains at greater risk. If you google Richard Burton and cyclehelmets.org, you’ll find that the two have often appeared hand-in-hand on the interwebs. Well, now, isn’t this interesting? I believe I’ve recognized everyone else who has weighed in here as a local (i.e. Northfield-area) resident. Not that that matters in the pursuit of truth, but in the interest of full disclosure, Mr. Burton, would you care to disclose your place of residence and any connection you might or might not have with cyclehelmets.org? Good call. I guess we should have been skeptical when he was “sceptical” while constantly promoting a Britsh website. Good call. I guess we should have been skeptical when he was “sceptical” while constantly promoting a British website. Thanks, Mike, for giving me one of the better laughs of my day. No word on whether the boy’s wearing a helmet created an unfortunate display of uncoolness that dissuaded future generations from taking up bike riding. (heh) What a silly argument! The majority of the scientific studies in peer-reviewed professional journals vs. a guy who says, “Look at the website I made.” I wonder who I should believe? Are you asking about Richard Burton, or Griff Wigley? and I now want to keep the discussion among local residents from this point on. Griff, I don’t know much about how websites work but does Richard Burton benefit from increased hits to his site. I think it may help him with search engines like GOOGLE but does he benefit in any other way? The website is run by the Bicycle Helmet Research Foundation (BHRF). See their About page for the list of patrons and editorial board members. Let’s broaden the source of articles/research. The Wikipedia has a comprehensive entry on bicycle helmets, including a subsection titled Undesirable effects of helmet use that has pro and con subsections. It also has an entry on Bicycle helmets in Australia. And just a technical note: links in blog comments get a tag automatically added called nofollow, which means links in comments do not contribute to one’s Google clout. Even if Richard were associated with Cyclehelmets.org, only the link in Griff’s original post would help him with search engine optimization (SEO). Griff, the helmet/public health discussion on the two related threads here has been informative. ANY discussion of cycling is a good thing, and I appreciate you spurring it here. Furthermore, believe it or not, in spite of my comments above, I agree with at least some of your argument. Fear-mongering about the dangers inherent in cycling is generally excessive and no doubt puts some people off getting on a bike. I think the over-protectiveness of many parents in the last 30 years or so, and a general fear of letting kids get out and be kids, unsupervised, has contributed to the obesity epidemic and has had other negative societal consequences. To the extent that helmet-Nazi behavior has contributed to this general fear-mongering, that’s a problem. Riding a bike around town without a helmet is vastly preferable (for a host of reasons), IMHO, to not biking out of fear of head injury. However, biking around town with a helmet, IMHO, is much better yet. We could quibble about whether the rate of head injuries among cyclists is “miniscule” (as I believe you or someone else said earlier) or not, and might not be able to come to a consensus, but I don’t think most public health experts would consider it a non-issue. Based on a lifetime that has included a lot of cycling, and being around lots of folks who bike a lot, I’m not convinced that the rate is so miniscule as to be unworthy of concern. It’s not just one’s personal health and brain at issue, either, as the public picks up the tab (directly or indirectly) in the case of serious brain injury. The bottom line, for me: promotion of use of helmets should be done thoughtfully and integrated into more holistic biking education and advocacy. The primary emphasis should be on encouraging kids (and adults!) to get on a bike and ride as much as possible, but there should be significant emphasis on safety as well (including wearing a helmet at all times). Of course, if you agree with Richard Burton that helmets really don’t afford any protection, you should drop the hypocrisy and stop wearing one altogether. Given that we now know that your primary (sole?) source for this story (Richard Burton’s cyclehelmets.org) is perhaps not the most balanced and comprehensive source possible (to put it charitably), do you have any second thoughts? Bruce, thanks much for the thoughtful, civil post. I’ll get back to you with a substantive reply. Just to reiterate my two responses to Doug: 1) Richard Burton says he has no connection to cyclehelmets.org which is evidently run by the Bicycle Helmet Research Foundation in the UK; 2) let’s broaden the source for articles and research, for example, the 140+ references (pro, con and otherwise) cited in the Wikipedia entry on bicycle helmets. Sean, thanks for directing me back to that video (which I skipped over earlier before I got sucked into this conversation!). It is indeed very thought-provoking, but I did not find Mikael Colville-Andersen compelling in establishing a cause-and-effect relationship between responsible, non-fear-inducing helmet promotion and a decrease in ridership. This is obviously an issue on which reasonable, informed people on both sides of the Atlantic disagree. We could lay out my experts head-to-toe against yours from here to Copenhagen and I suspect no consensus would be reached. I don’t think responsible promotion of bicycle helmet use is in the same league as advocating use of the Thudguard baby helmet. Once again, I encourage you, or a significant other, child or grandchild to try the cranium-meets-asphalt test at 20 mph (or even a lesser speed) without a helmet if you really think bicycle-helmet-wearing is foolhardy and unnecessary. I freely grant that some helmet promotions are done in a fear-mongering way, and that is A Bad Thing. I’d like to think that I’m not a victim of the Culture of Fear (which I think is very real, as I’ve mentioned previously, and is terrifically detrimental). I’ve been out there riding, fear-free for the most part, for 45 years (and advocating riding for about 35 of those years), and I would hope I would not be lumped in with the opponents of bicycling and pedestrian infrastructure investments simply because I continue to think wearing a helmet is a good idea. Northfield and the Twin Cities are Not Copenhagen, but that doesn’t mean I’ve thrown up my hands in despair. I’m a dreamer, but I’m also a realist. I think that any meaningful promotion of cycling in Northfield would be helped, not hurt, by the involvement of, for example, the Healthy Community Initiative, the Cannon Valley Velo Club, and the YMCA. I don’t think you’re gonna make much headway with those groups if you dis anyone who wants to responsibly promote use of helmets. Just sayin’. Bruce, after looking briefly at the article that Rob Hardy cited about the unintended consequences of youth bike helmet laws, I don’t yet have any second thoughts about my blogging about this. And after reading the WSJ column about the ‘dork factor’ reaction to President Obama wearing a bike helmet, I’m more convinced that I don’t think it was irresponsible for me to use a blog post headline Avoid unsightly helmet hair: leave the helmet at home when biking around town like Jake and Cody. This entire discussion has struck me as more than a little odd because neither Northfield nor Minnesota has a helmet law. What we’re really talking about is whether helmet use should be encouraged. You and the folks you cite in support seem to think it should not be, under any circumstances. Instead you have mocked it (“dork factor”, “overly safety conscious doofus”). I think helmet use should be encouraged, as I’ve said a couple of times, as part of a more holistic bicycling promotion campaign that includes rider safety (with helmet use being just one, and not the most important, element). The reason I think it’s important that helmet use be encouraged is quite simple, as I’ve stated before: I and four people I know well have had crashes while wearing helmets, and none of us suffered serious brain injury (or death). Lest anyone think that these were all high-mileage Lycra-clad freaks, one of them was NOT an avid, high mileage rider. He suffered a serious crash in town, riding at relatively low speed on the Carleton campus, and was knocked unconscious while wearing a helmet. I am unconvinced that none of the five of us would have had a serious brain injury had we not been wearing helmets. The articles you cite focus on the relatively small number of preventable deaths, but serious brain injuries are also a major concern. As I’ve said several times, I accept your argument (as supported by a fair amount of research, apparently) that helmet laws can reduce the number of people who bike. Bad thing. I wouldn’t want that to happen, and it’s why I don’t think I could support a mandatory helmet use law. I think we should take a more holistic approach, and: (1) encourage bicycling in general, (2) create an infrastructure and a culture that are more conducive to bicycling, and (3) encourage, but not mandate, helmet use. Bruce, the problem is that #3 undermines the effectiveness of #1. The recent promotion of the success and expansion of Nice Ride MN in the Twin Cities is a good example. The two photos I saw in the Strib had around-the-town bikers with helmets on. Articles featured the 10,000 helmet give-aways. if we want to get more people riding, creating a culture and infrastructure that improves public health, transportation, and the environment. Why not focus on those since they’re the big problems and let the helmet-usage take care of itself for now? Griff (replying to your posting 29.2.2), do you really want to advertise the “fun” of cycling with a picture of a bow-tied nebbish who’s about to hit a brick wall because he’s not looking where he’s going? The picture even shows the stars that are about to whirl about his unhelmeted head — and isn’t it obvious that what’s being spelled out in all capital letters are the words FIRST AID? the problem is that #3 undermines the effectiveness of #1. I have seen no compelling evidence that encouraging, not mandating, helmet use as one modest component of holistic bicycling advocacy necessarily undermines efforts to encourage bicycling. That strikes me as your opinion, to which you are entitled, and nothing more. Steve Clark, manager of Transit for Livable Communities’ Walking and Bicycling Program, has spent much of his adult life promoting sustainable transportation. In the early 1980s, he co-founded the Minnesota Coalition of Bicyclists and directed the Minnesota Pedal Power Camp. From there, he became the first bicycle and pedestrian program manager in Boulder, Colorado. After Boulder, he became an independent transportation planning consultant, in addition to running the “BikeFarm” in northwestern Wisconsin. He’s also worked as a planner for the Ice Age Park and Trail Foundation, public information director for the Land Stewardship Project, and served as the President of the League of American Bicyclists. Now living in St. Paul, he is 99 percent car-free. After describing our little local bicycle helmet/public health brouhaha, Steve assured me that he was fully conversant with the arguments (and recognized national and international experts) pro and con on the issue. His opinion, to which I give more weight on this matter than yours, Griff ;-), is that you’re full of crap in the US/Minnesota/Northfield context. (He was a bit more diplomatic than that, but his opinion was clear.) He basically said that Northfield isn’t Copenhagen, and to pretend otherwise is not helpful. He didn’t seem particularly impressed by the disputed research indicating that helmets don’t help in reducing serious brain injury, either. FWIW. You can write him off as yet another mouthpiece of the Nanny State-Bicyle Helmet Industrial Complex if you wish to, but I value his opinion. Actually the TEDx talk I linked to before addresses specifically “encouragement” of helmet use and its negative impact on cycling. The European Cycling Federation opposes promotion (and requirements) of helmets and reflective vests. As for this Not Being Copenhagen: Copenhagen is Copenhagen today because they made it that way. Many European cities, CPH included, went through very similar struggles after World War II in being strangled by the automobile; most made much more aggressive choices to combat automotive design than American cities. Simply throwing one’s hands in the air and saying it’s a different context is not helpful. And it’s exactly the same excuse I’ve heard people use for why we shouldn’t encourage on-street bicycling and shouldn’t invest in bicycle (or even ped) infrastructure: because this is Americuh! I just looked at an article that, in a balanced manner, concludes that mandatory helmet laws both (1) reduce fatalities among youth, and (2) reduce the numbers of youth who ride bicycles. The article called for a cost-benefit analysis that takes into account both of these factors. In any case, I think we should take a more holistic approach, and: (1) encourage bicycling in general, (2) create an infrastructure and a culture that are more conducive to bicycling, and (3) encourage, but not mandate, helmet use. In the article’s title, the “intended” consequences are fewer fatalities, and the “unintended” consequences are fewer young people on bikes. I found the full version of the draft of the article (PDF and slideshow options). Using surveys of parents, the professors find that about 650,000 fewer children ride bikes each year after helmet laws go into effect. That’s about 81,000 fewer riders for every life saved. Anti-helmet campaigners cite Australia, where the introduction of compulsory helmet-wearing led to a small decrease in head injuries but a 30% reduction in the number of cyclists. So, one possible conclusion is that if helmets put people off cycling, then they put the general cycling population at greater risk. We are the helmet advocacy program of the Washington Area Bicyclist Association. We are a small, active, non-profit consumer-funded program providing bicycle helmet information. We try to explain the technology of helmets to consumers, and promote better helmets through improved standards. It has been suggested that the major causes of permanent intellectual disablement and death after head injury may be torsional forces leading to diffuse axonal injury (DAI), a form of injury which usual helmets cannot mitigate and may make worse. “The major discovery is that the skull plays an important role in protecting against rotational acceleration,” says Phillips. He says almost all head injuries involve not just a direct blow to the skull but also damage to blood vessels caused by the brain rotating within the skull. In mechanical terms, the head is an elliptical spheroid with a single universal joint, the neck. It is therefore almost impossible to hit it without causing it to rotate. The head tries to dampen these forces using a combination of built-in defences: the scalp, the hard skull and the cerebrospinal fluid beneath it. During an impact, the scalp acts as rotational shock absorber by both compressing and sliding over the skull. This absorbs energy from the impact. A bicycle helmet with its own synthetic “scalp” has been designed with the aim of mitigating rotational injury. This is one of several slip-plane-type designs that are intended to reduce rotational acceleration on the brain during an oblique impact. Although many bicycle helmets are designed with rounded, smooth shells that slide easily along pavement, adding a slip plane to such an already-good design may be valuable in situations where the helmet impacts obliquely against a high-friction surface. The concept of slip planes is not new, but the implementation in production bicycle helmets is. Lots of cities are starting bike-sharing programs or thinking of doing so. But in Vancouver, British Columbia, a decision to subsidize a new bike-share system has sparked debate over whether the program can thrive if the province retains its 1996 law requiring cyclists to wear a helmet when riding on a road or bikeway. Daniel Fontaine, a columnist for Vancouver 24 Hours, says debate has been intense. Daniel Fontaine column and discussion thread (87 comments thus far): Can a bike share program work when helmets are mandatory? Vancouver’s former city planner Brent Toderian is an advocate for relaxing helmet laws in order to make cities more cycle friendly. He argues public officials should be looking at the macro health benefits of more people cycling, rather than simply focusing on individual injuries. In 2007, the globe-trotting photographer Mikael Coville-Andersen launched his photo blog Copenhagen Cycle Chic with a picture of an attractive Danish cyclist on a street corner. Since then, more than 50 Cycle Chic blogs have popped up, everywhere from Berlin to Bogotá, turning the European-style roadster and its well-dressed riders into new icons of urban elegance. Here, the international bike ambassador shares his doctrine of style over sweat. Wow. Mikael Coville-Andersen’s photo blog Copenhagen Cycle Chic is fabulous. See especially his recent post on his visit to Vitória, Brazil. We need this to happen in Northfield! As part of my public health campaign, I’m going to use this blog post to feature photos of Northfielders bicycling around town without helmets. Why? In short, riding a bike around town without a helmet is a relatively safe activity. And society benefits (health, transportation, environmental, economic, etc.) the more that people do it. As I’ve mentioned in a previous discussion, I think we should encourage bike riding as much as possible and I don’t believe we should have a helmet-mandate. I agree that mandates can lead to poorer long-term health by discouraging bike-use but there’s a huge leap from not mandating helmet use to promoting helmet-less biking. Couldn’t that also end up discouraging actual bike-use? If helmet promotion has the side effect of also promoting the “dangers” of biking, why would promoting helmet-less be any different? I would rather see a promotion of the diversity of biking: with/without helmets, fun/commute, fast/slow, etc. Well said, Gabe. And there is no helmet mandate for Northfield or Minnesota, nor is there one on the political horizon. Griff, it’s not clear to me that you’ve shown any real cost-benefit analysis demonstrating that your anti-helmet evangelism is a good idea. The best scientific research available to us (as reviewed in the comments on your other anti-helmet post) does seem to show a real (if possibly small) safety benefit to bike helmet use. Where’s your evidence that voluntary helmet use causes a harm that outweighs that benefit? I’ve added a helmetful pic for my avatar to help balance out this page. Griff, in response to the text of your “all the cool kids are doing it” photo thread, by much the same logic we should not discourage young children from playing in the street, because at least they’re outdoors playing instead of inside watching TV and getting fat. Griff, my comment was directly in response to the text of your “all the cool kids are doing it” photo thread. Moving it from there to here undercuts its meaning. I think you should move it (and the comments by Gabe, Patrick and, I think, Bob Gilbertson, numbered here as 38, 39, and 41) back where they were made. Barry, I’ve referenced that blog post in comment #37 above. into your comment #40 to help make it clearer. I really want to keep that “cool kids” blog post and comment thread just for photos. In protecting your misleading and unsourced “All the Cool Kids are Doing It” advocacy post from comment, you are doing your readers no favors. Your assertions in that post (and above) misrepresent the scientific literature on the subject, and draw conclusions that do not clearly follow from the limited information that you have cited. Is your “public health campaign” thesis really so weak that you are unwilling to defend it, or even tolerate questions? Seems problematic to add a phrase to a comment that someone else has written. Perhaps a bracketed statement with “Editor’s Note:” or something would be better. Actually, Barry, I’d probably agree with that, within reason. If cars are speeding down residential streets, that’s a design issue that needs to be addressed. Here in South Minneapolis and Richfield, where there are few driveways, I see a lot of portable basketball hoops set up in parking spots. Kids and teens play basketball in the street — as far as I know, without incident. How do you get from an article saying it’s bad to require or promote wearing bike helmets to thinking it’s good to promote NOT wearing helmets? Also — I poked around in the articles collected at the link in the earlier post, and still haven’t seen any study purporting to show a decrease in bike riding caused by public promotions (as opposed to laws, such as formed the basis for the Canadian studies). But I didn’t look at everything. What’s the best evidence that simply promoting helmet use reduces bike riding? I’m following the comments here but behind on responding. I’ll catch up soon. In the meantime, does anyone have links to research showing that the promotion of wearing bike helmets for around-town biking is A) a cost-effective way of reducing cyclist deaths/injuries; and/or B) has no significant detrimental effect on the rate of cycling? 1) See 4.1.1., 4.2.1., and 22, above, for citations of studies which find that wearing a helmet can reduce head injuries. See also the anecdotal/personal accounts of Bruce Anderson at 18.1.1., 19.2.6., and 29. 2) Regarding cost-effectiveness: the cost of saying “A helmet can reduce the likelihood of a head injury” is zero. As far as I know, there is no dedicated expenditure of money to promote helmet-wearing on the local level, so the direct local cost of helmet advocacy is also effectively zero. Therefore, a preliminary cost-benefit analysis says that the benefits of Northfielders saying “A helmet can reduce the likelihood of a head injury” exceed the costs of doing so. Can you show that wearing a helmet, or saying “A helmet can reduce the likelihood of a head injury,” has unintended negative effects which exceed the benefits found in the scientific research, above? To wear or not to wear. At a recent event I was reminded even the volunteers acting in support roles were required to wear a helmet. Not for safety, but because the insurance carrier said so. There is ample evidence on both sides of the safety argument but this was the first time I heard an honest assessment of why one should wear a helmet. I was a bit reluctant to keep chiming in here while my status as assistant coach of the high school mountain bike racing team and as mountain bike ride leader was in question. But now that I’ve declined to continue (see blog post: Bicycle helmets redux: tough organizational choices, but I’m out), I’d like to jumpstart the discussion here in this main thread. I consider it the height of irresponsibility that Shaun Murphy, Minneapolis’ bicycle and pedestrian coordinator, doesn’t wear a helmet when cycling. The Consumer Product Safety Commission estimates that helmet use while bicycling reduces the risk of head injury by 85 percent. The Insurance Institute for Highway Safety says that 616 bicyclists were killed in crashes with motor vehicles in 2010. The institute also reports that only one in 10 fatally injured bicyclists in recent years was wearing a helmet. In light of these statistics and common sense, Murphy’s rationale for riding helmet-free — “he doesn’t want the activity to appear dangerous or scary” — sounds ludicrous. Like it or not, his position with the city makes him a role model. I hope he and his supervisors reconsider the message his reckless behavior is sending. Strib commentary today – Biking and helmets: Beyond passion; While protection may seem obviously paramount, there are conflicting forces at work. Bicycle ridership drops considerably when helmet laws are enacted, or even when wearing a helmet is advised. Why? Some people simply view helmets as inconvenient, but the primary reason is thought to be that these campaigns cause potential riders to view bicycling as less safe. Yeah, a nice opinion piece by an articulate 15-year-old … well done, Seth! First, the piece appeared in the Strib but isn’t exactly “Strib commentary” in the sense of being by the Strib. According to the Australian Bureau of Statistics, in 1986, 1.68 percent of workers biked to work. Ten years later, in 1996, after national helmet laws were in effect, only 1.24 percent biked to work. Approximately 26 percent fewer people were bicycling to work, presumably due to the helmet law. Whether public helmet promotions (or laws, as in Australia) have net good or bad effects on public health is a legitimate, interesting, tricky, and probably not yet settled question. Too much helmet hoopla might indeed scare off potential bikers — who in statistical reality have more to gain than to fear from biking (with or without helmet). A logical oddity: Maybe public helmet promotion is bad on balance. Even if so, the already-biking population — who haven’t been scared off by helmet worries — almost certainly benefits from donning the headgear. So maybe the ideal helmet promotion would somehow soothe non-bikers and scare bikers. Boggles the mind. I don’t think you’ve addressed what affect promoting helmet-less biking would have. I’ll accept helmet-promotion as highlighting the dangers of biking but I believe promoting helmet-less riding is the same. You seem to disagree but haven’t responded. I’ve got a Sunday night deadline on a big project and after that, I’ll take time time for a substantive reply.